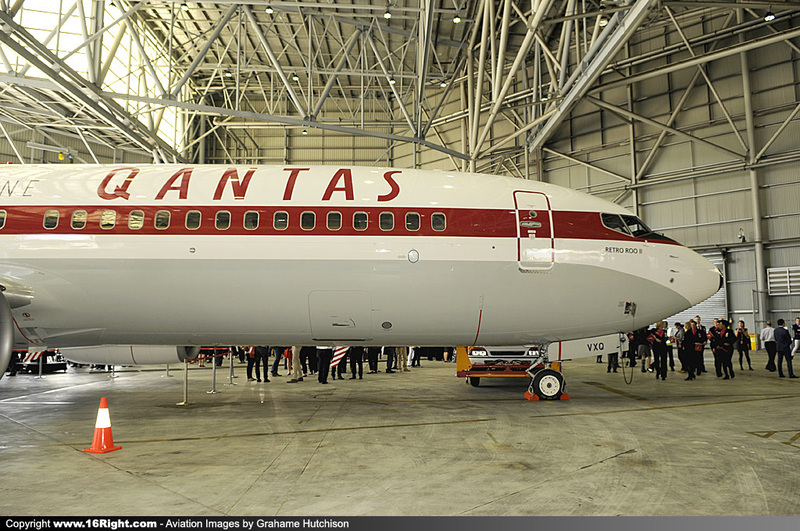 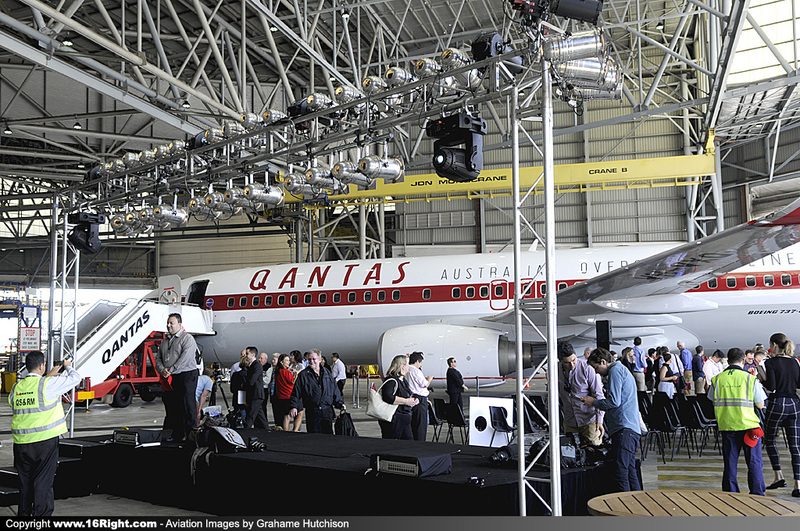 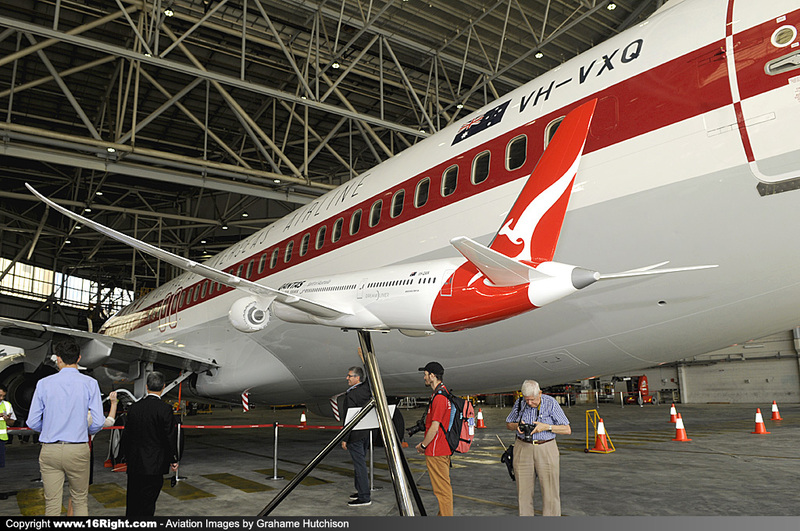 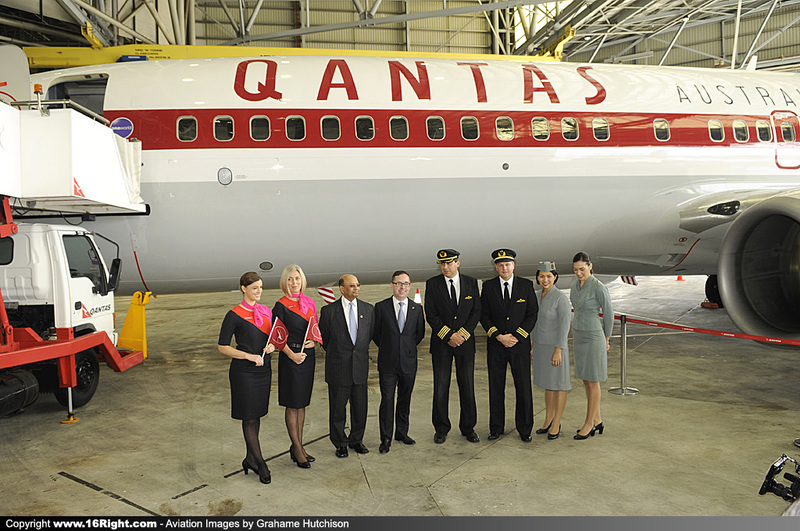 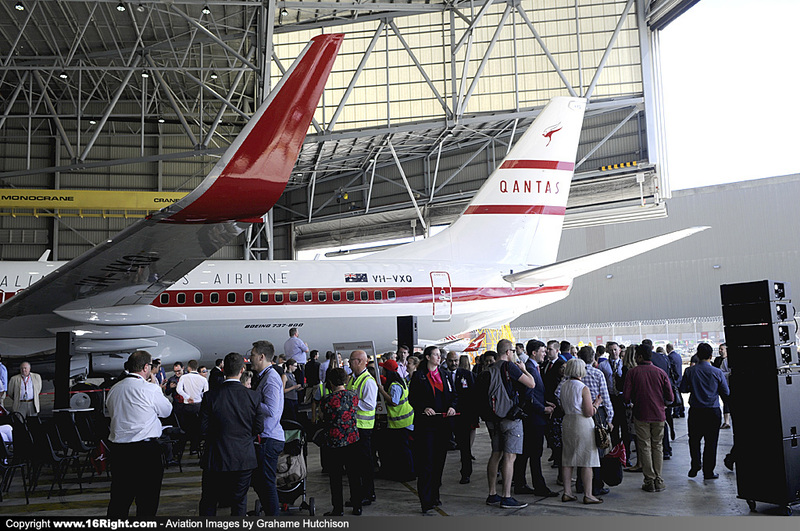 This morning's event had a dual purpose, celebrating Qantas' 95th Birthday, and unveiling the new Qantas Retro-Roo II livery from 1959. 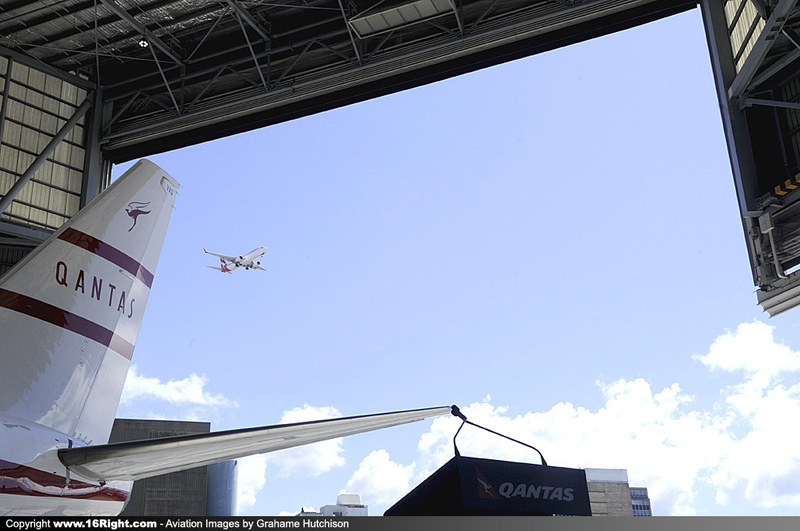 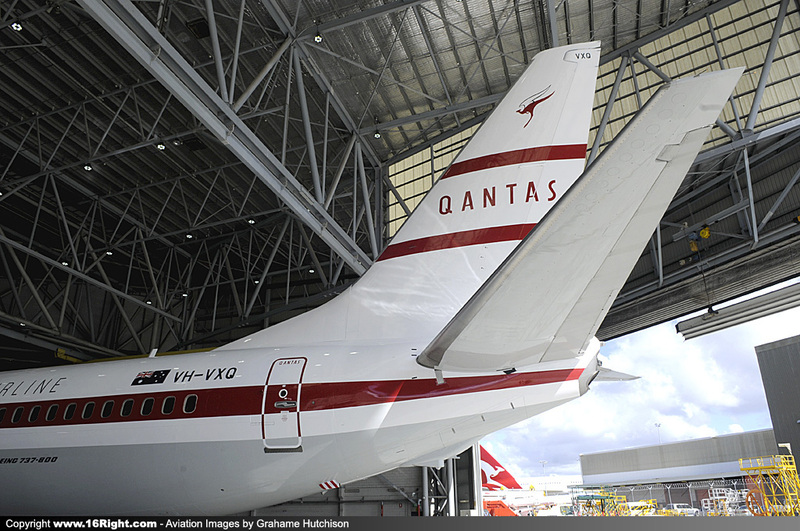 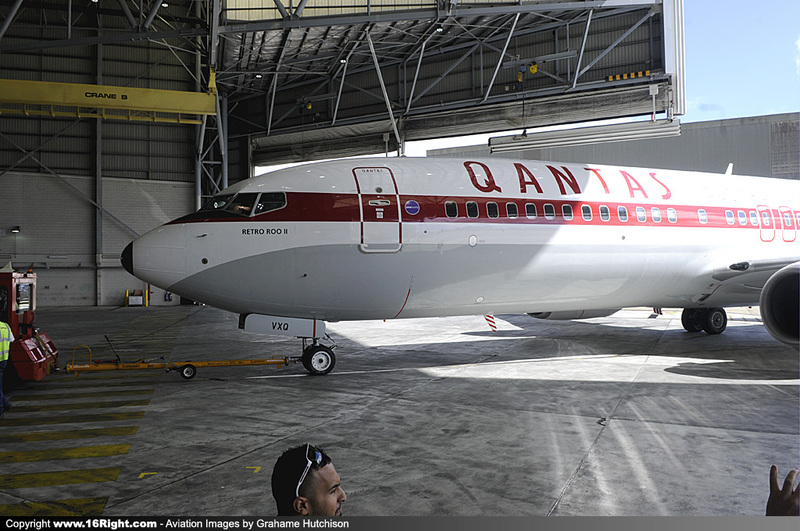 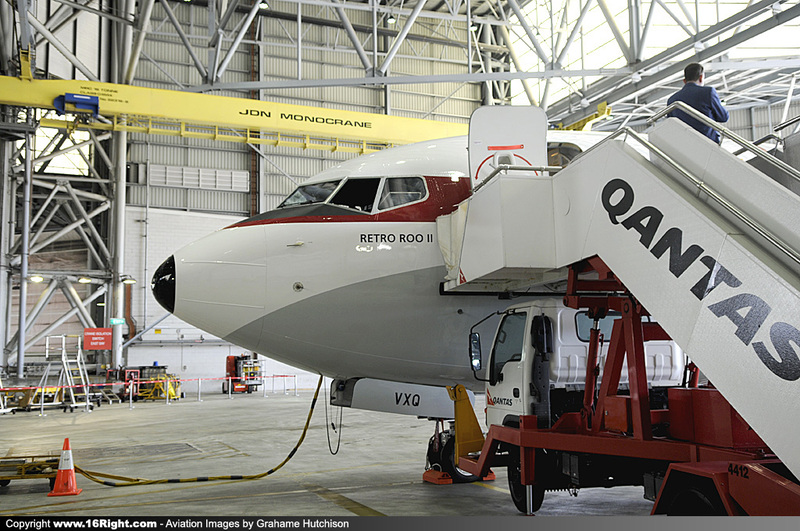 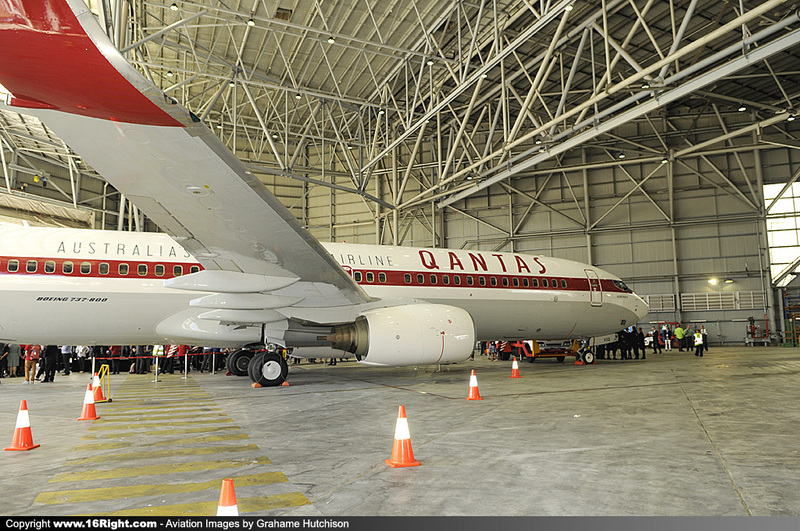 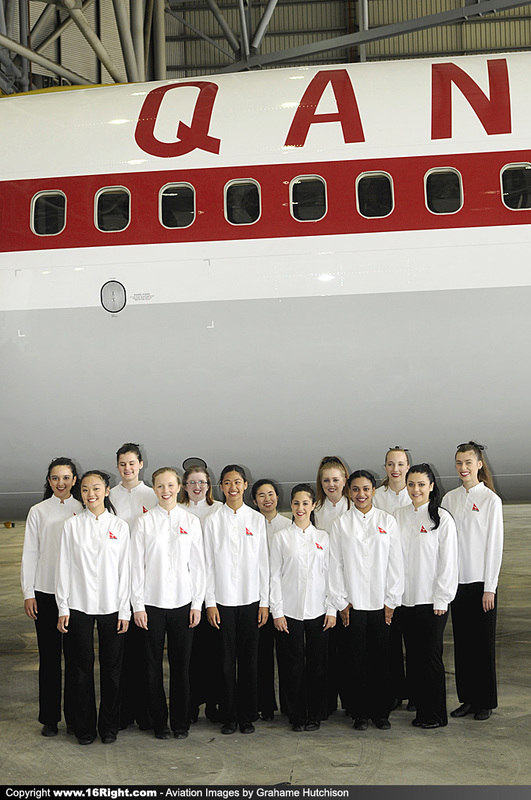 Qantas Boeing B738 VH-VXQ was towed from another Hangar around to Hangar 416, as the Qantas Choir performed "I Still Call Australia Home". 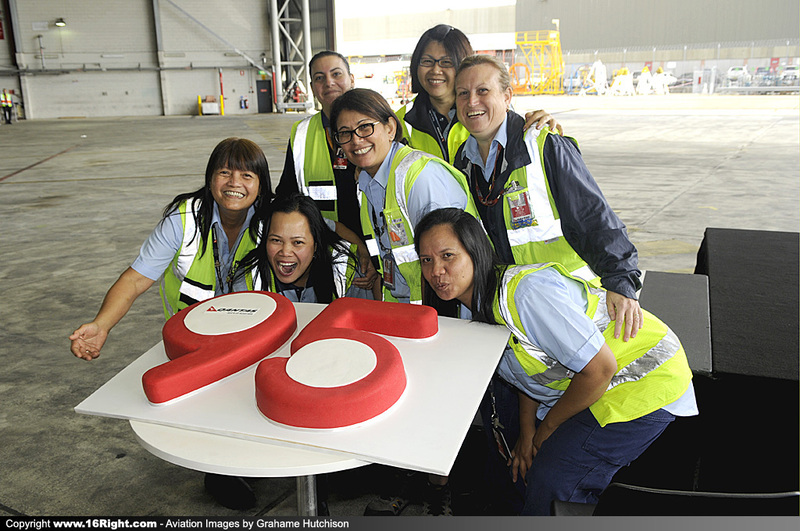 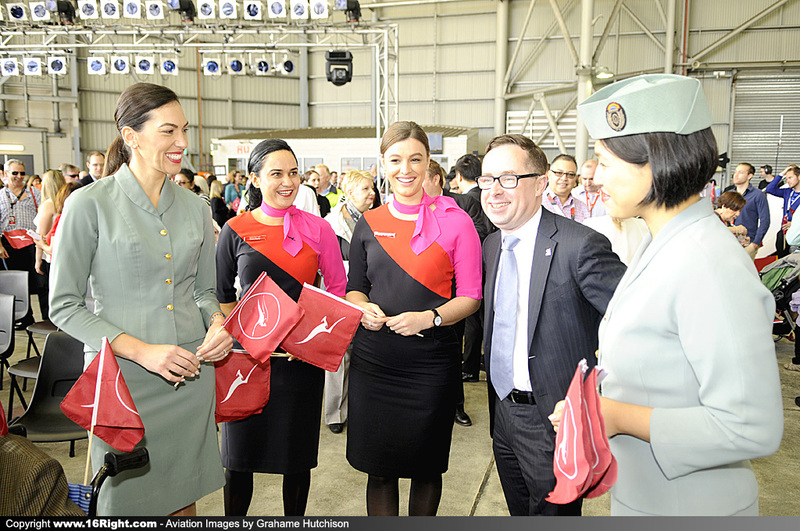 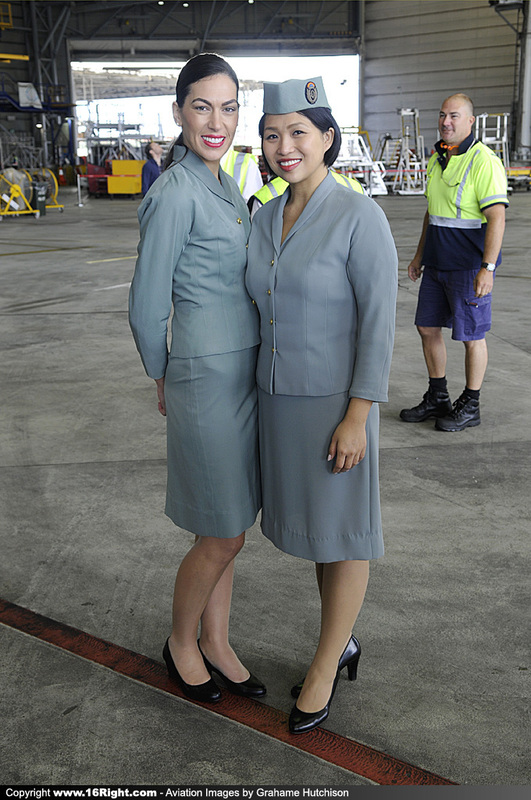 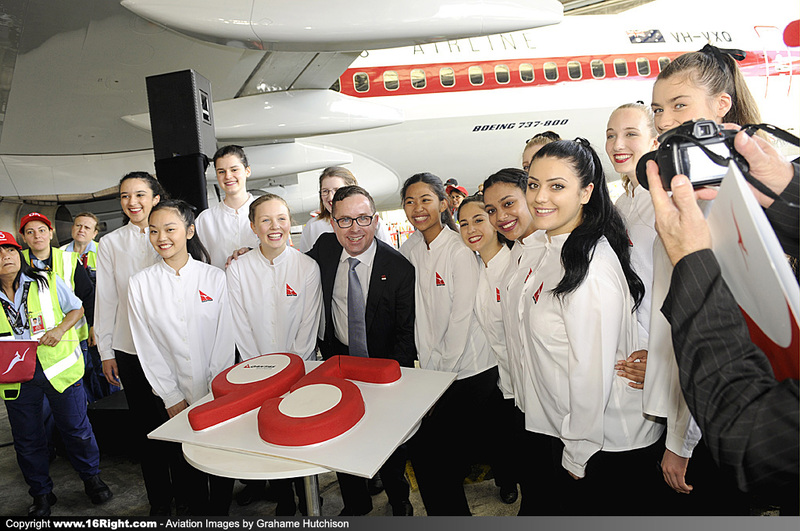 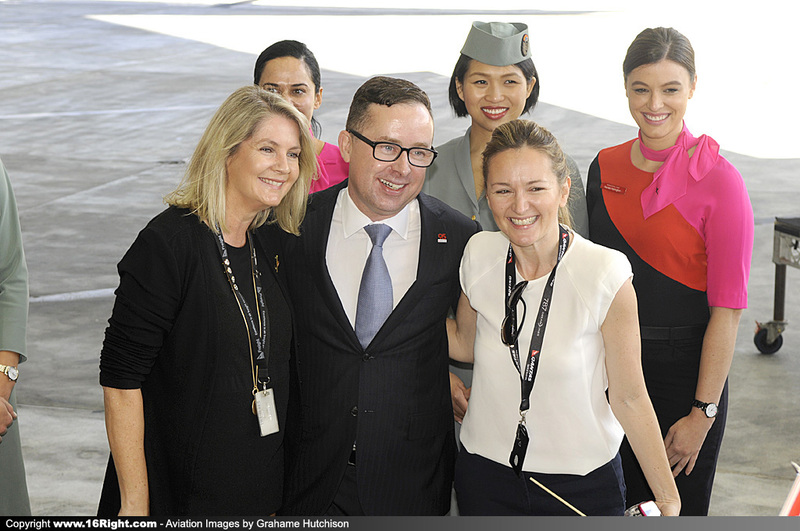 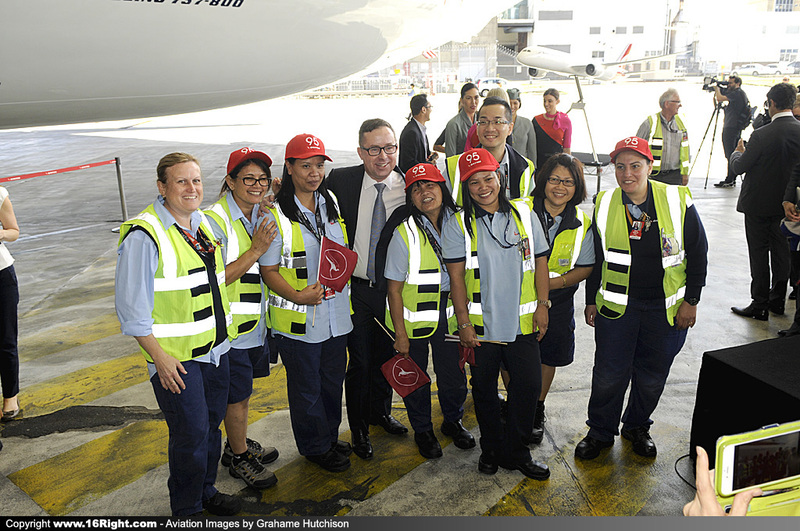 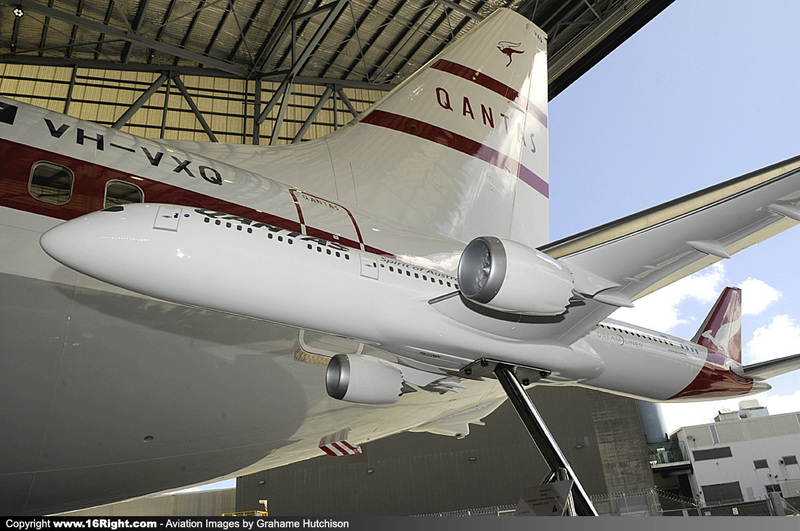 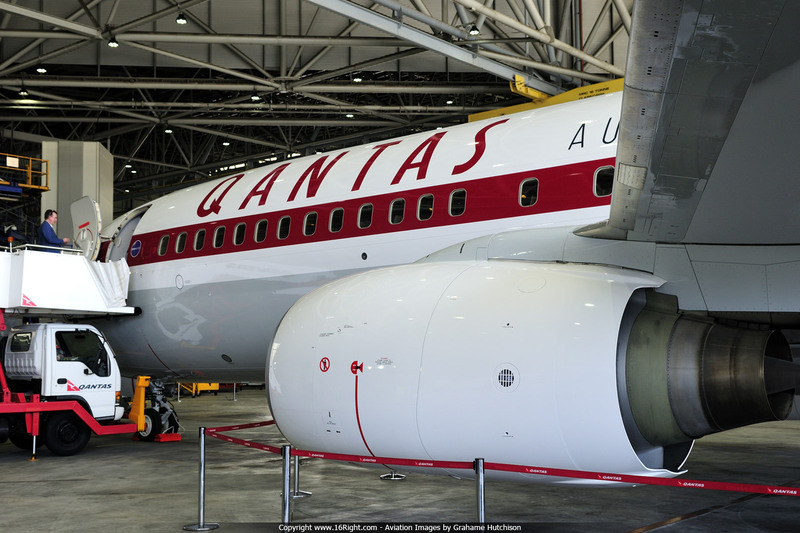 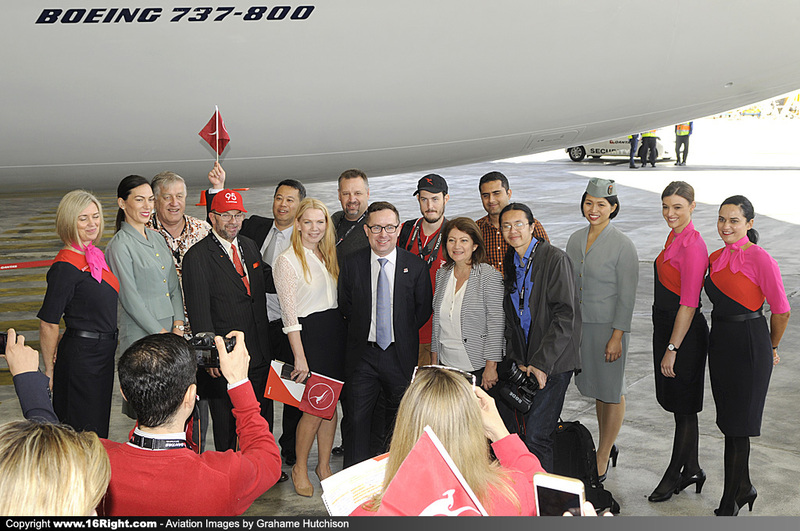 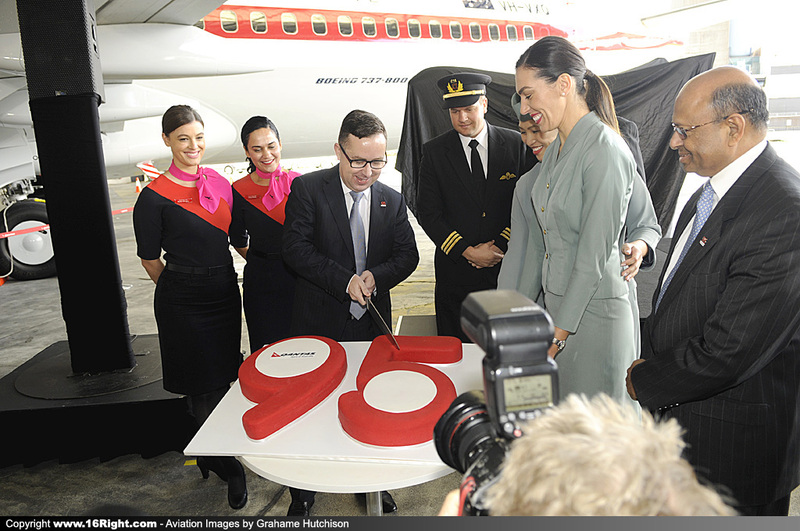 Qantas CEO Alan Joyce spoke of the proud history of Qantas and its dedicated employees who have made the Airline what it is today. 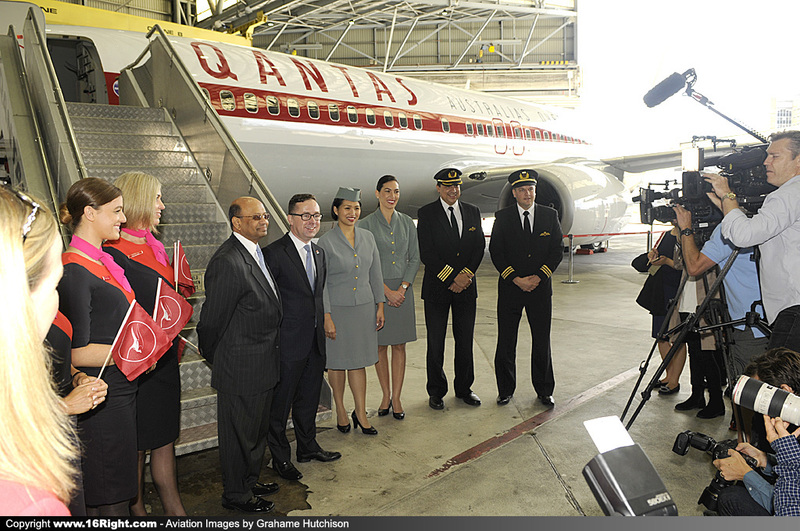 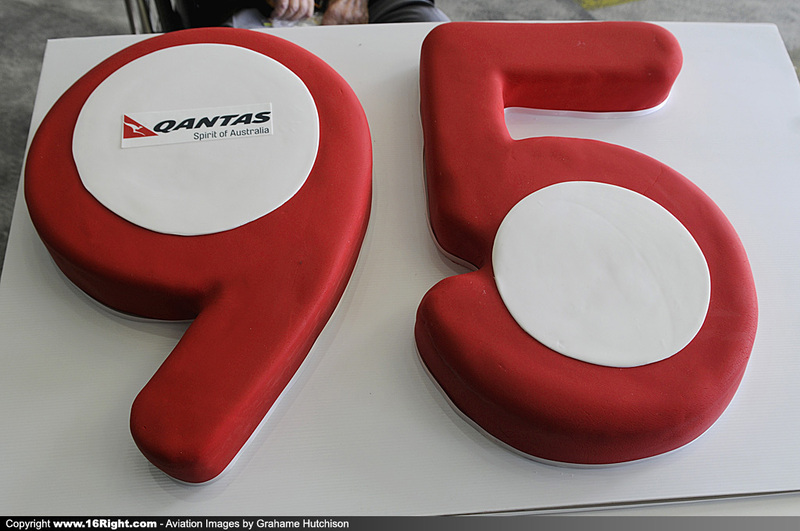 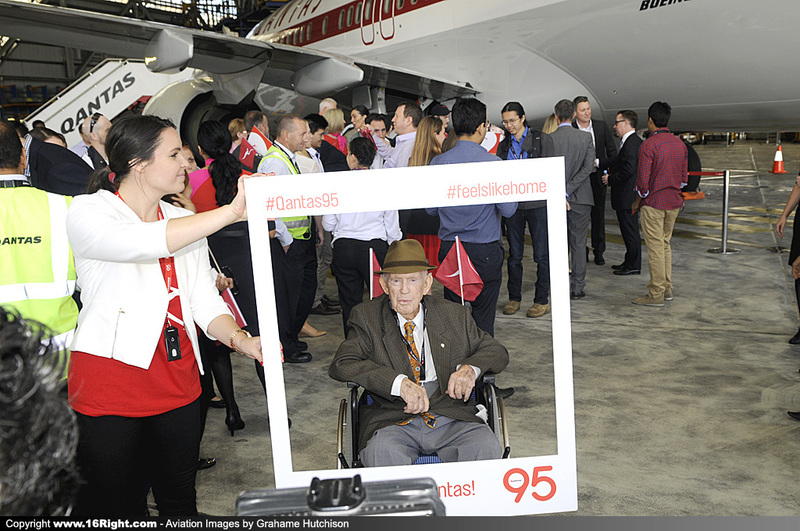 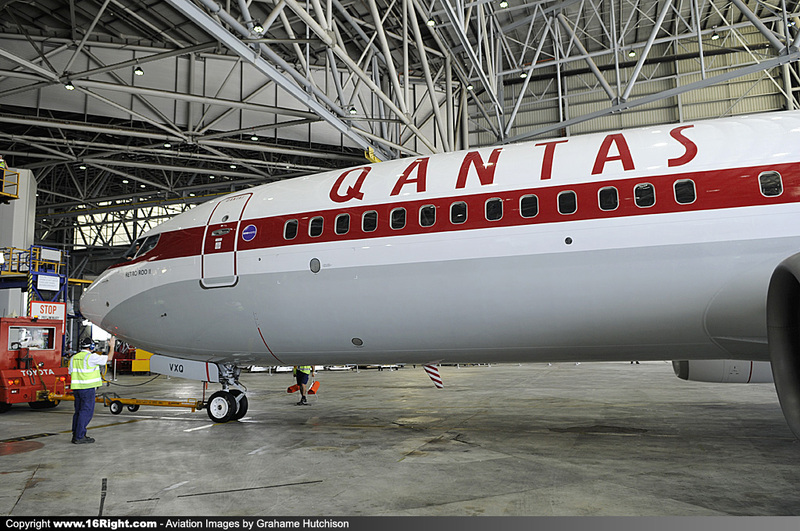 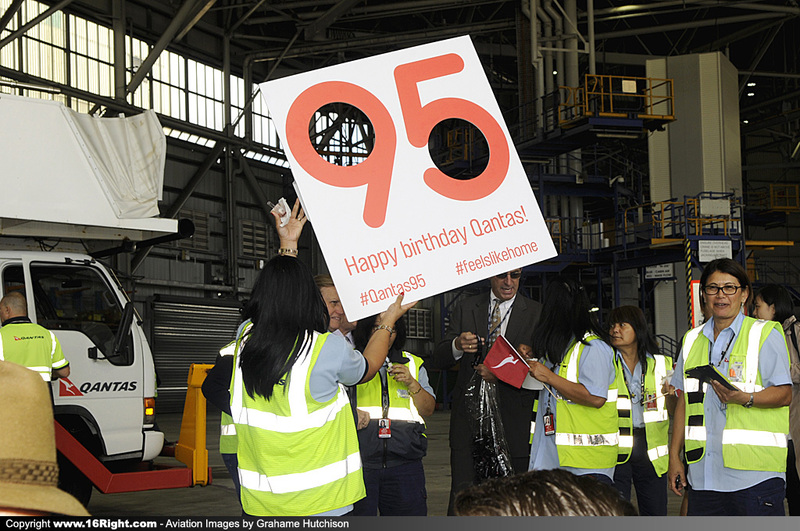 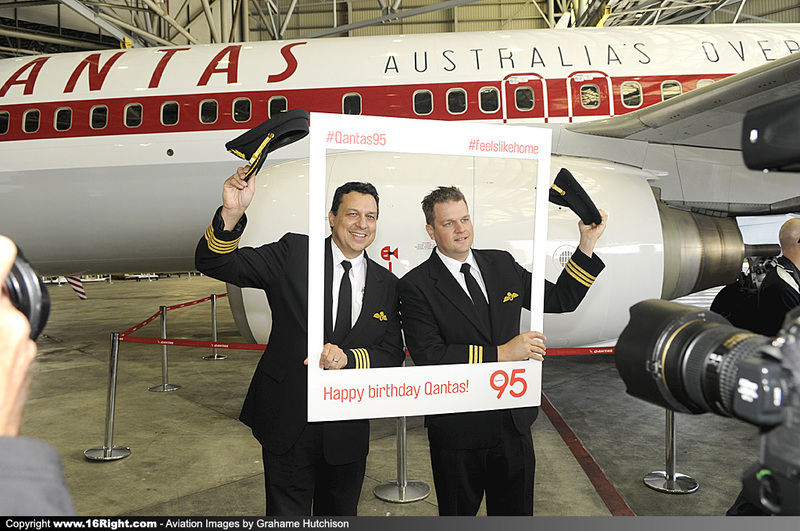 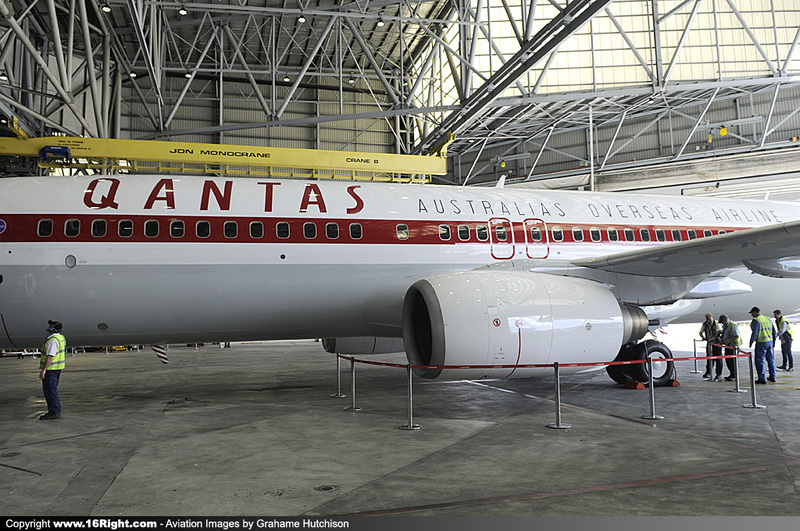 Alan also recognised Mr Michael Ryan, who worked for Qantas for 37 years, starting in the 1940s. 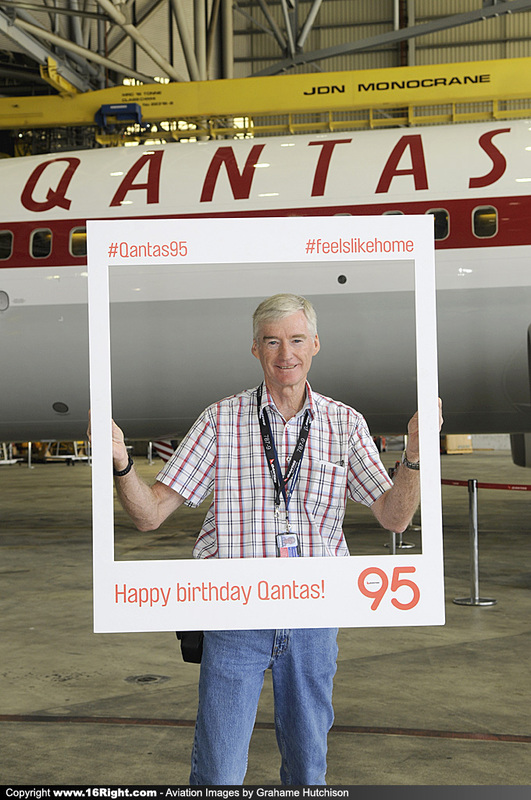 Michael was born in Longreach three years before Qantas was founded, and the large table in his fathers Tailor shop was used for the first Qantas Board meeting, as it was the only one large enough in town to seat all the Board Members. 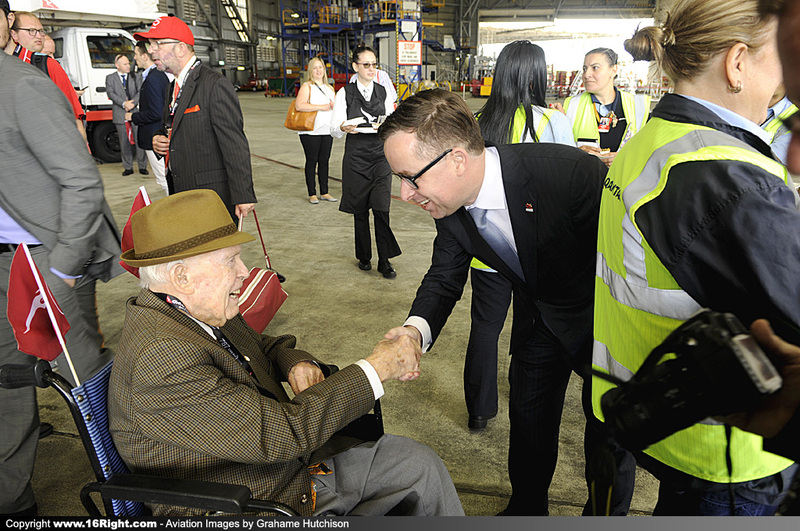 Mr Ryan worked on the Qantas Flying Boats in Rose Bay during the 1940s, and now helps with the Qantas Museum. 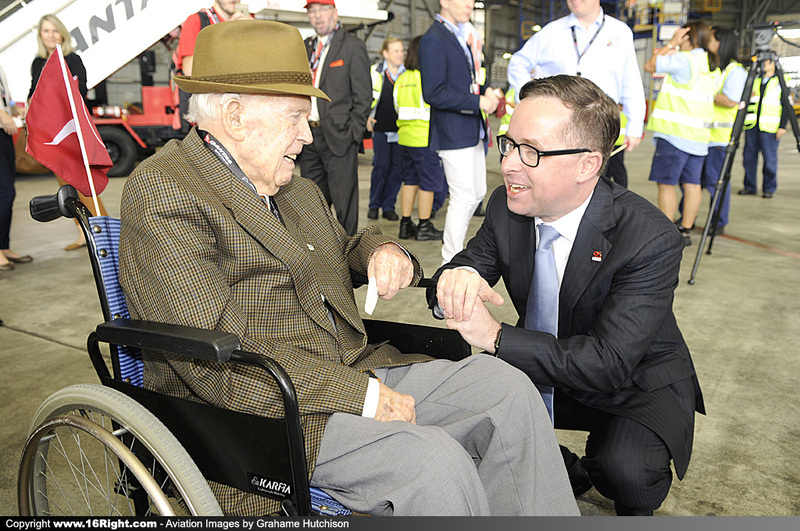 What a pleasure to meet and talk to Mr Ryan this morning. 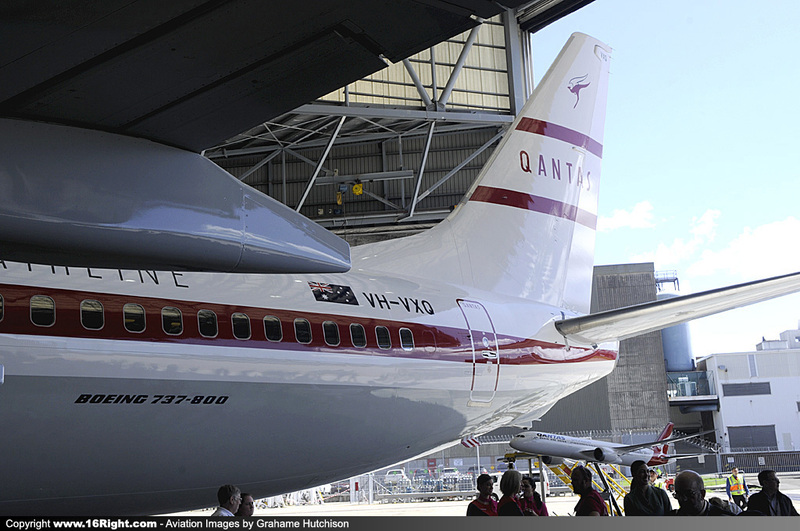 As Alan Joyce said in his speech, "the history and the future side by side"